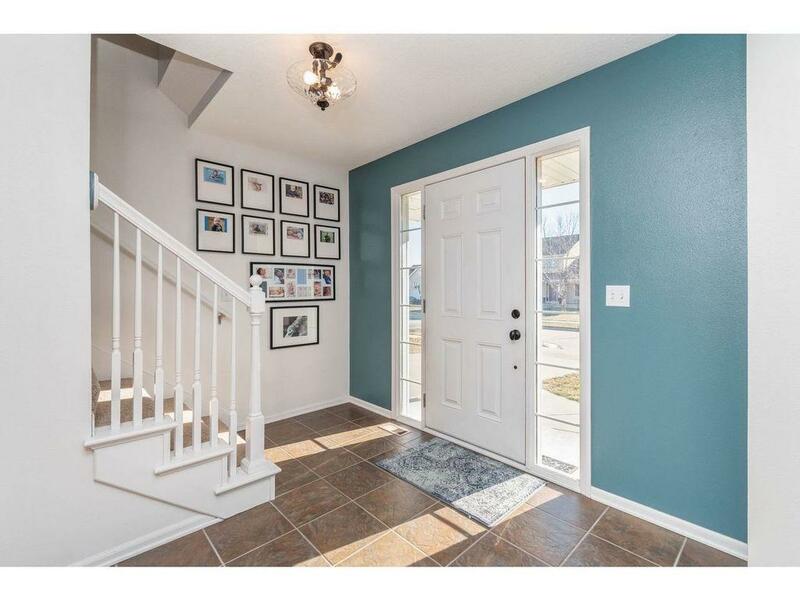 Beautiful two story with three bedrooms and 3 baths sitting in an outstanding neighborhood! This home has a very open floor plan. The kitchen has custom maple cabinets with easy close doors and drawers and plenty of space to cook for the family or entertain friends, it is open to the dining area which has room for your full sized table. The living room is perfect and includes a gas fireplace and hardwood floors. The upstairs holds all the bedrooms and a second floor laundry room. Stop on down to the lower level to enjoy a big family room and lots of storage. The back yard is fenced and has a putting green for those golf lovers and a pergola top over the extra large patio. So many updates and upgrades, just a few include ~ new roof in November of 2018, shed with new roof also, newer Pella windows, custom lighting, custom blinds, tile floors, sump pump, water heater, updated bathroom, garbage disposal and so much more. Make an appointment to see today!